Adrian Blau is Senior Lecturer at King's College London. Glen Newey, author of the Routledge Guidebook to Hobbes’ Leviathan, sadly passed away after a boating accident in Rotterdam on Saturday 30 September. Discussion (2): Raffaella Santi and Ioannis Evrigenis debate Hobbes’s state of nature. A two-party debate between Raffaella Santi and Ioannis Evrigenis, on Evrigenis’s chapter in the Oxford Handbook of Hobbes. In part 2, Evrigenis responds to Santi’s scientific defence of the state of nature. Discussion (1): Raffaella Santi and Ioannis Evrigenis debate Hobbes’s state of nature. A two-party debate between Raffaella Santi and Ioannis Evrigenis, on Evrigenis’s chapter in the Oxford Handbook of Hobbes. In part 1, Santi challenges the view that Hobbes’s use of the state of nature is elusive, self-contradictory and unscientific. Your top 10 Leviathan articles? I was recently asked to recommend my top Hobbes articles for a new edition of Hobbes’s Leviathan. Here’s my list. What would your list be? Comments open! On June 17th, several members of the European Hobbes Society met to discuss a draft of Arash Abizadeh’s important, book-length analysis of Hobbes’s moral philosophy. Abizadeh’s manuscript incisively combines rigorous textual interpretation with powerful philosophical analysis. 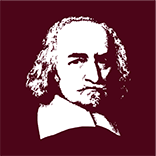 A fascinating BBC Radio 4 discussion of Bodin, Hobbes and others on sovereignty, by Melissa Lane (Princeton), Richard Bourke (QMUL) and Tim Stanton (York), hosted by Melvyn Bragg. Debate: Al Martinich vs. John Deigh on law. Part 2: Deigh. This is Deigh’s response to Martinich, in the first in a series of debates about entries in The Oxford Handbook of Hobbes (ed. A.P. Martinich and Kinch Hoekstra). In part 1 of this debate, Martinich had argued that the laws of nature are laws, by virtue of God who makes the propositions laws. Deigh responds to Martinich’s critique. Debate: Al Martinich vs. John Deigh on law. Part 1: Martinich. This is the first in a series of debates about entries in The Oxford Handbook of Hobbes (ed. A.P. Martinich and Kinch Hoekstra). In this first debate A.P. Martinich discusses John Deigh’s chapter on ‘Political Obligation’ and argues that the laws of nature are laws, by virtue of God who makes the propositions laws. Gabriella Slomp (St Andrews) takes over from Juhana Lemetti as Editor-in-Chief of Hobbes Studies. Marcus Adams (Albany) moves up to become the Associate Editor. This article reviews more than ten reviews of Noel Malcolm’s edition of Leviathan – ‘a glory … that sets quite new standards of editorial scholarship’ and which advances new ideas about the contexts in which Leviathan was written.